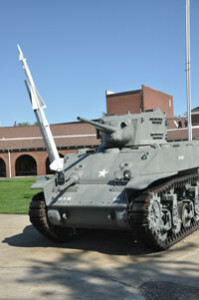 Students will used issued rifles and ammunition. Personal smallbore rifles will not be allowed in the class. 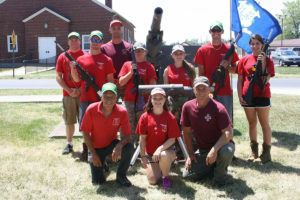 new in 2019: Students may use their own pistol or rifle and ammunition during the pistol or rifle SAFS at Camp Perry. Note: To be eligible for EIC points during the eic Match, competitors must use CMP issued pistols or rifles and ammunition. Those competitors who use their own firearm in SAFS will need to get their pistol or rifle inspected for safety. they will need to check their firearm prior to the SAFS class at the cmp armorer's truck. The Department of Defense first conducted the Small Arms Firing Schools (SAFS) as part of the National Matches at Camp Perry in 1918. Federal law continues to require the annual conduct of Small Arms Firing Schools, which now instruct over one thousand pistol and rifle shooters a year in firearms safety and fundamental marksmanship skills. 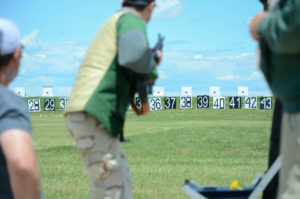 The Pistol and Rifle Schools are conducted by the U. S. Army Marksmanship Unit (USAMU) and sponsored by the Civilian Marksmanship Program (CMP). The Schools are open to all U. S. citizens who are over the minimum age. Firearms are provided, students must bring eye and ear protection. 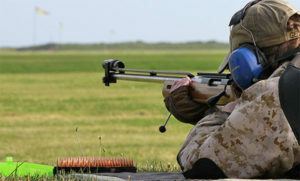 In the Schools, USAMU instructors, assisted by Army, Air Force, Coast Guard, Marine and Navy Active, National Guard and Reserve shooting team members teach basic marksmanship techniques geared to meet the needs of new and less experienced shooters as well as shooters who want to learn new ways to improve their scores. There are four courses available: Pistol SAFS, Advanced Pistol SAFS, Rifle SAFS and Advanced Rifle SAFS that is part of the Pistol SAFS. 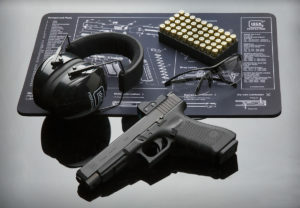 Both the Rifle and Pistol SAFS offer beginning shooters special hands-on instruction that starts from the beginning with safety, nomenclature, clearing, loading and unloading, shot technique and basic firing positions. 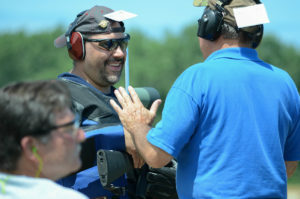 Intermediate SAFS instruction focuses on teaching and practicing competition techniques. The Advanced Pistol Course is open to any competitor who has a minimum of 10 EIC points or at least an Expert NRA classification. 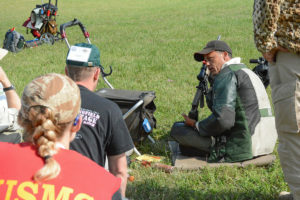 In this course participants can expect to focus on the fundamentals, understanding training methods, and building a mental approach to competitive shooting. Rifle students fire prone, sitting and standing position slow or rapid-fire exercises. On the second day, Rifle SAFS students, while still being assisted by their coaches, have a unique opportunity to test their new marksmanship knowledge and skills by firing an M16 Rifle EIC Match that uses the course of fire practiced on the range the previous day. Pistol students fire slow, timed and rapid-fire stages at 25 yards. Upon the completion of pistol training Pistol SAFS students, while still being assisted by their coaches, have a unique opportunity to test their new marksmanship knowledge and skills by firing an M9 Pistol EIC Match that uses the course of fire practiced on the range. The Pistol and Rifle Small Arms Firing Schools offer U. S. citizens at all levels of shooting experience, from new and beginning shooters to advanced competition shooters, outstanding opportunities to receive top class marksmanship instruction from many of the country’s best instructors in one of shooting’s most historic settings. The school is on Saturday, 13 July 2019, from 7:00 AM until 5:30 PM. 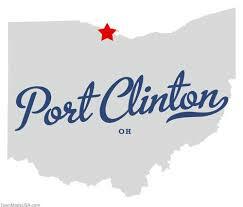 When you arrive at Camp Perry, please check-in at the National Match Welcome Center. No one is permitted to register or check-in on the day of the school. The Pistol SAFS, including the firing of the M9 EIC Match, will be completed in one day, on Saturday. 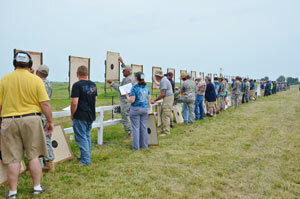 The SAFS schedule will give beginning shooters approximately six hours of hands-on training and time on the range. 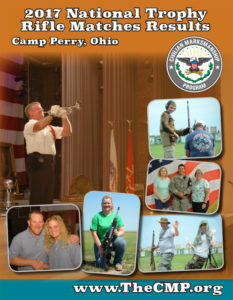 The school is on Saturday, 13 July, from 7:00 AM to 10:00 AM and will take place at the Gary Anderson CMP Competition Center. When you arrive at Camp Perry, please check-in at the National Match Welcome Center. No one will be permitted into the class after 7:00 AM. The Advanced Course is geared to competitive shooters who wish to enhance their competitive and training edge. In addition, participants will have the opportunity to question a panel of pistol champions. Pistol competitors who are interested in the Advanced Pistol Course should register for the Advanced SAFS. SAFS Advanced Pistol students may not fire in the M9 EIC Match and attend the Advanced SAFS. Advanced pistol competitors have the option of signing up for the school, attending the USAMU instruction in the theater only (Advanced students should NOT go to the firing line), attending an advanced bulls-eye pistol clinic in lieu of the M9 Pistol EIC Match. No one is permitted to register or check-in the day of the school. The school begins on 27 July at 7:00AM in the Hough Theatre. The school concludes on 28 July at Noon. 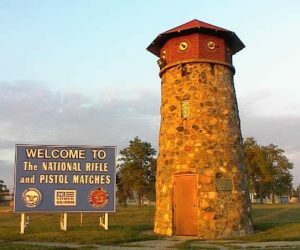 When you arrive at Camp Perry, please check-in at the National Match Welcome Center. No one is permitted to register or check-in on the day of the school. Rifle SAFS students may also sign up for the Squadded Practice on Sunday (please indicate Viale Range for your preference for the Squadded Practice). 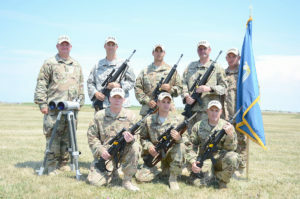 Intermediate and advanced rifle shooters who have attended previous Rifle SAFS. You belong in this group if you have previously attended one or more Rifle SAFS, have fired in competition where you have completed a rifle EIC match or have earned an NRA classification of Sharpshooter or higher. 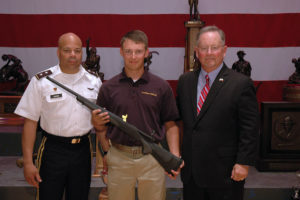 The Advanced rifle school begins on 27 July at 7:00AM in the Hough Theatre. When you arrive at Camp Perry, please check-in at the National Match Welcome Center. No one will be permitted into the class after 7:00 AM. After that, your group will remain in the theater for additional, more advanced instruction. Your group will then move to Viale Range that afternoon where you will also do practice firing. The school concludes on 28 July at Noon. Rifle SAFS students may also sign up for the Squadded Practice on Sunday (please indicate Viale Range for your preference for the Squadded Practice). $50.00 for adults ($35.00 for juniors) for the Pistol or Rifle School; $20.00 for adults ($15.00 for juniors) for the Advanced Pistol School. For their entry fee, students receive all instruction, an M9 9mm service pistol or an M-16 service rifle to fire, ammunition for the school, a USAMU Service Pistol or Service Rifle Guide, a SAFS T-shirt, SAFS certificate and handout materials. All SAFS students also receive automatic entry in the M9 Pistol EIC or M16 Rifle EIC Matches at no additional cost, a special EIC match pin and an opportunity to win four EIC credit points. Registration will open on March 1st. The fastest and easiest way to register for either SAFS is to register on-line on the CMP web site (see links at the top of this page). Follow instructions to register. Your registration fee must be paid by credit card if you register on-line. The registration fee must be received by the CMP before your registration is complete. 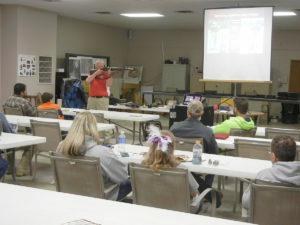 The minimum age for Pistol SAFS students is 14; the minimum age for Rifle SAFS students is 12. An Age Waiver Request Form may be submitted to the CMP for younger participants only if evidence of previous range firing training and competition and the individual’s ability to safely handle center fire pistols or rifles is presented with the request. Students may use the M9 9mm service pistols or the M16 5.56mm service rifle or commercial rifles of the same type and caliber issued by the school. Ammunition will also be provided for those students using issued pistols or rifles. 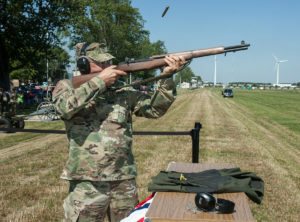 new in 2019: Students may use their own pistol or rifle and ammunition during the rifle SAFS at Camp Perry. Note: To be eligible for EIC points during the eic Match, competitors must use CMP issued pistols or rifles and ammunition. 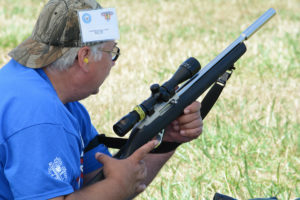 All students must bring personal eye and hearing protection and wear them while on the range. Students should bring clothing suitable for wear on an outdoor firing range. Headgear, rain gear, sunscreen and insect repellant are highly recommended as all firing is done on open outdoor ranges. Students may bring additional items of competitive shooting gear that they normally use for bull’s-eye pistol or highpower service rifle shooting. 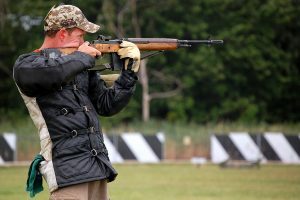 Rifle shooters should bring shooting jackets and a shooting glove if they have them. Slings are provided with issued rifles and must be used in school events. After the CMP receives your SAFS entry, it will be confirmed. 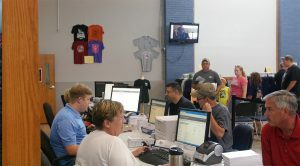 When you arrive at Camp Perry, check in at the National Matches Welcome Center in Building #3, CMP Headquarters. If you have any questions regarding SAFS, please contact CMP Competitions at [email protected] or 419-635-2141, ext. 714 or 706. Please Note. All Pistol and Rifle SAFS students, except Advanced Pistol course students, are REQUIRED to attend the safety briefing at the beginning of the first day of each class. Your SAFS scorecards will be stamped after the safety instruction. If you miss the safety briefing, you will not be permitted to fire in the school and no refund will be given. 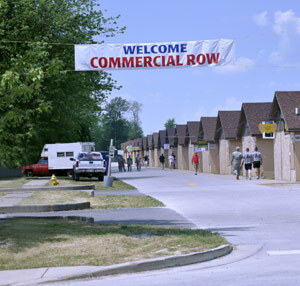 The Adjutant General’s Department of Ohio offers housing for SAFS students at Camp Perry on a space available basis. SAFS students may reserve housing on-line at http://www.cplcc.com/nminfo.html. 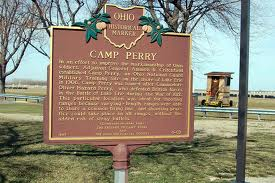 For further information, contact the Camp Perry Club House (888) 889-7010 or email [email protected]. SAFS instruction and hands-on coaching provided by Army Pistol and Rifle Teams and supported by coaching from Army, Marine Corps, Navy, Air Force and Coast Guard team members has long been regarded as some of the best available anywhere. Students in the Small Arms Firing Schools (SAFS) will do range firing practice with their coaches and then complete their schools by firing in an exciting EIC match. These “Special EIC Matches” offer competitors who have not earned any EIC credit points a chance to compete for 4-point “introductory legs” that are awarded to the top 10% of these shooters. 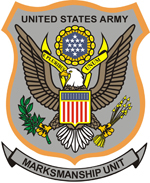 Competitors may count no more than one 4-point leg towards the 30 points that are required to earn a Distinguished Badge. 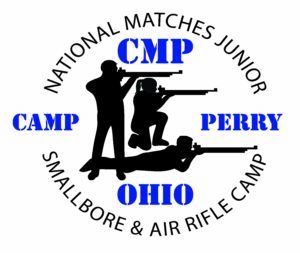 Detailed rules for these matches are in the CMP Competition Rules for Service Rifle and Service Pistol (see Rule 9.0), posted on the CMP web site here. Competitors must use issued pistols or rifles and ammunition to be eligible for EIC points. Note: Army Regulation 350-66, dated 27 Aug 2012, Table 3-1, Note 9 states “Army component personnel will not be eligible for points in the four point elementary level match at the National Matches. To qualify for points at the National Matches, Army personnel must shoot the National Trophy Individual Match”. The M9 Pistol EIC Match will be fired Saturday immediately after SAFS practice. It will be fired with the M9 9mm service pistols that students used in SAFS practice. The M9 pistol match is fired at 25 yards. Competitors can fire with either a one-handed or two-handed stance. The pistol course of fire is 5 sighters, 10 shots slow-fire in five minutes, two 5-shot timed-fire series (20 sec. each) and two five-shot rapid-fire series (10 sec. each). The M16 Rifle EIC match will be fired on Sunday morning. The M16 EIC match will be fired with SAFS rack grade M16 rifles that use light-recoil 5.56mm cartridges. The M16 course of fire starts with five sighters. The record course continues with 10 shots for record in prone slow-fire, 10 shots rapid-fire prone in 60 seconds, 10 shots rapid-fire sitting in 60 seconds and 10 shots slow-fire standing, all at 200 yards on the SR target.